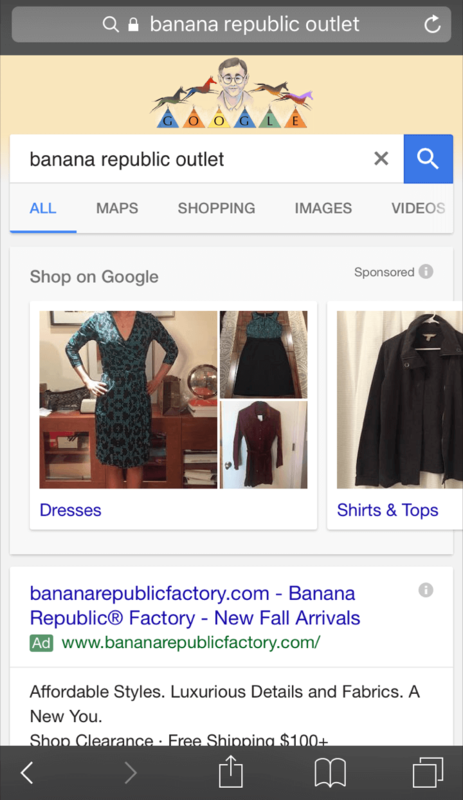 A strange thing happened just now when I was searching to find out whether the promotions extension Google is testing is also showing on mobile (it is). I came across an example of what appears to be a Showcase Shopping ad for the first time in the wild. 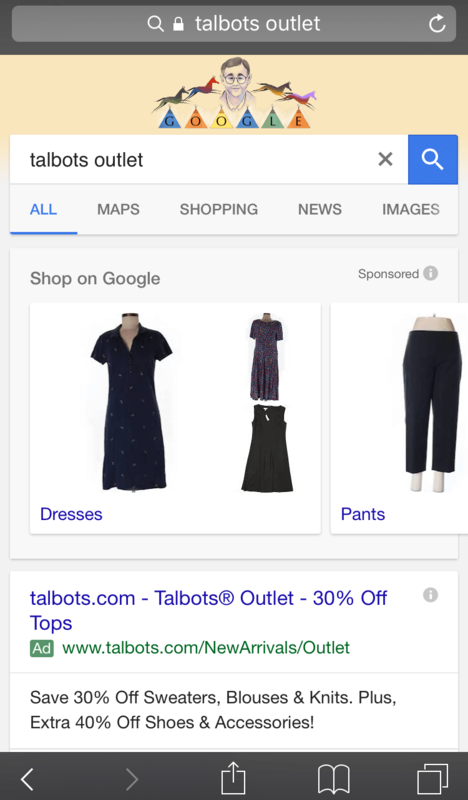 When I first saw the Shopping result on the Talbots query, I assumed the ads linked to a Shopping page featuring the items shown in the ads, among other items in the category sold by Talbots itself. But then I saw the results for “banana republic outlet” and “ann taylor outlet” featuring used items in this ad format. 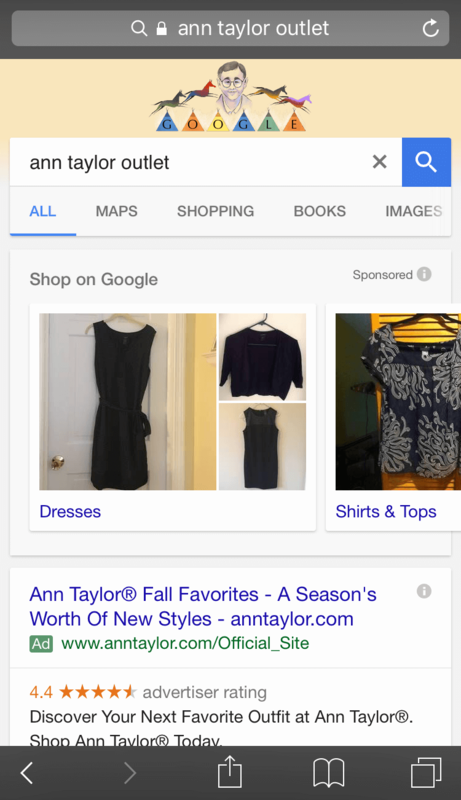 I went back to the “talbots outlet” result and found that the majority of items featured on the corresponding Google Shopping page were also used. I was not able to find the products shown in the ads on the Shopping pages. The used items are being sold by Thredup, Poshmark and eBay, among others. I have only seen this Shopping ad format appear on mobile and have not been able to replicate these results with other terms like “used.” These ads do not appear on all retailer+outlet combinations. I also have yet to see any Showcase ads appearing on broad queries. We’ve reached out to Google with questions and will include any updates here. 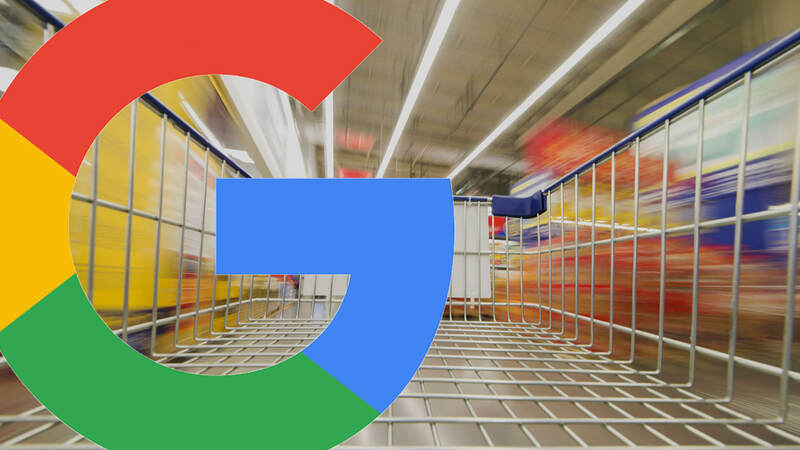 Tags:Channel: SEMGoogleGoogle: AdWordsGoogle: AdWords: Product Listing AdsSearch AdsSearch Ads: Product Ads.